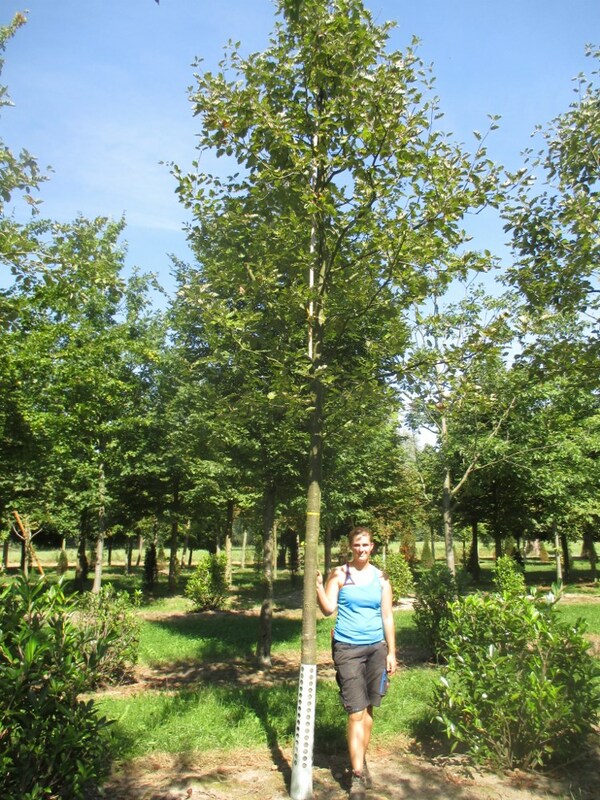 Sorbus intermedia has a rounded crown and foliage that is dark green on the top and silver- grey on the underside, giving it an interesting shimmer in the breeze. Creamy white flowers appear in clusters in May and are followed by small orange-red fruit in autumn. The autumn colour is decorative and contrasts attractively with the foliage turning to a golden brown. Swedish Whitebeam is a tough, hardy tree that will tolerate harsh including wind exposure, coastal environments and most soils. Often seen as avenue or street-planting due to its compact habit and its ability to cope with air pollution.